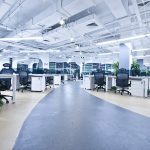 Our workplace sensors are as busy as you are! Did you know that they can transmit data “EVERY SECOND” – this doesn’t happen by magic, they are stuffed full of complicated circuitry and intricate wiring to help businesses get the best out of their premises and, to track the way in which a building is used by its occupants. 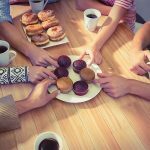 This helps businesses operate at optimal levels. All of this requires POWER! Our subtle little sensors are battery powered and are completely IT independent, so they don’t need to be connected to anything, just install in place and link to our API and you’re away. 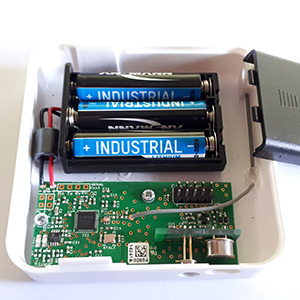 We often get asked what kind of battery is best to power our occupancy sensors and we’ve never really had a solid answer so, last year we decided to tackle the question head on and do some research into the best batteries on the market for our sensors. Our sensors are extremely efficient and require very little power per transmission and so utilising a battery unit with consistent output over long periods of time is essential in order to make running our sensors even more cost-effective. After all you, don’t want to have to change the batteries in each unit every couple of months. Our research showed that when it comes to battery output, consistency and reliability you really do get what you pay for. We tested four of the most common brands we’d found being used in our sensors – Panasonic Zinc Carbon, Duracell Procell Alkaline, Ansmann Lithium and Energiser Lithium. 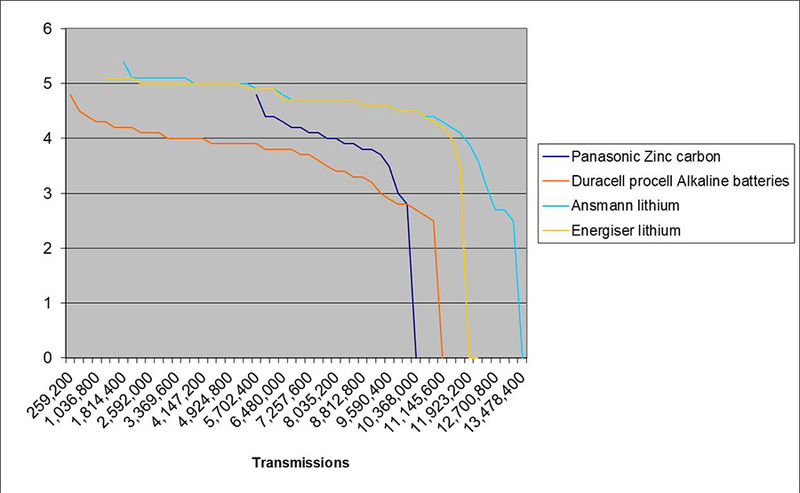 As you can see from the graph below the cheapest battery by Panasonic could ‘only’ muster 10.3 million transmissions while the most expensive battery by Ansmann was able to sustain output enough to deliver more than 13.8 Million transmissions – significantly outperforming the remaining options. 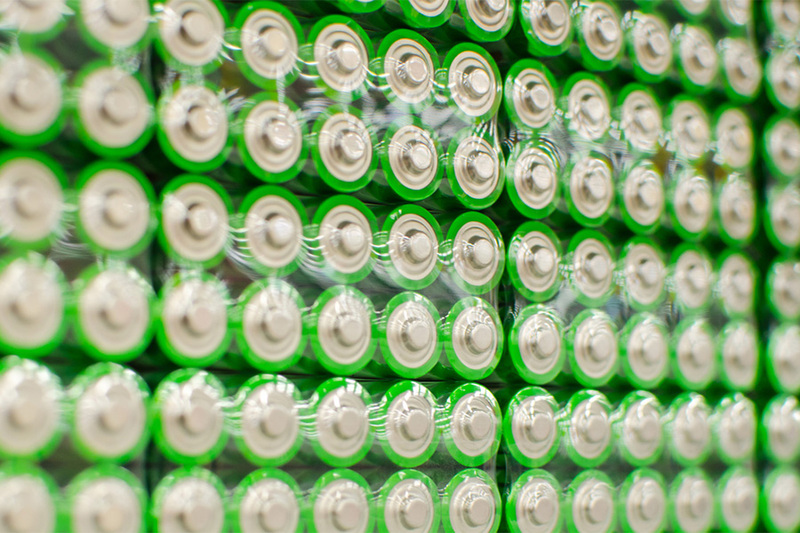 By our calculations choosing the correct batteries for your sensors should enable the units to function, trouble-free for up to three years without intervention. Skimping on the quality of the batteries will mean you are spending more often and while the initial expenditure may be lower, in the long run it will cost you more as you’ll be changing the batteries 3-4 times more often – beware of false economies! If you have any questions about our workplace occupancy sensors or our online shop please get in touch and our member of our team will be happy to help. You can also follow us on Facebook and Twitter and stay in touch through LinkedIn.